"Thousands of candles can be lighted from a single candle, and the life of the candle will not be shortened. Happiness never decreases by being shared". The quote by Gautama Buddha is resonating in my ears as I type in the words here. Being a person that is forever in the quest for words of wisdom from the great souls that have graced the planet, Bangkok has always been a place of interest to me. My granny was the person that got me hooked to his words. The story of Siddhartha was one of my first bed time stories. She is the most pious person I have had in my life till today, and the fact that I got inclined towards the principles of this religion makes me feel the chord of connection with her, even though she is not with me right now. Bangkok is one of the cities that hosts the most beautiful and prominent Buddhist temples out there. 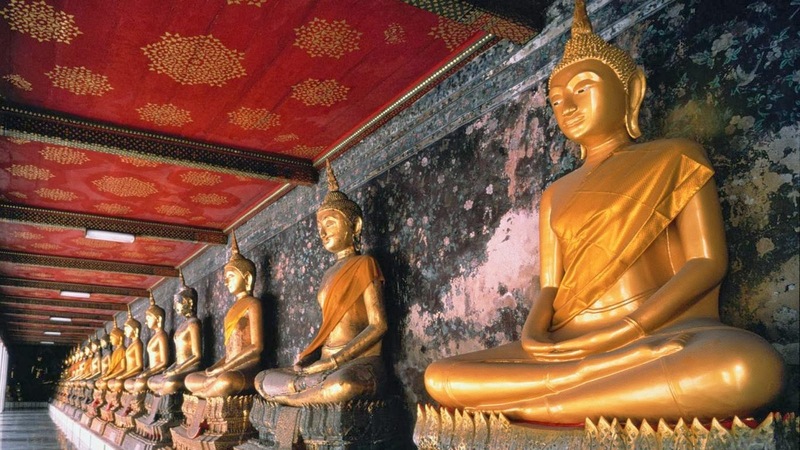 Temples of the Gold Buddha, the Reclining Buddha, the Temple of Dawn, the Marble Temple and more, the list is never ending. The wonderful architecture and the serenity they offer is what probably makes them the best ones. 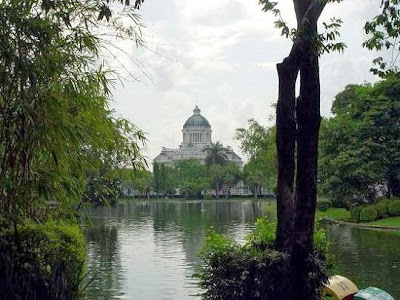 So yes, the eagerness to learn the principles of this simple yet profound knowledge is what is one of the prime reasons why Bangkok is my dream destination. But well, the mere mortal that I am, nightlife and clubbing, materialistic cravings, the tourist attractions that are treat to the eyes, form major pointers to visit this city too! Floating markets have always fascinated me. Somehow, the charm of the pretty women in vintage boats, the shopping, the bargaining in the local markets holds a beauty that the malls can't provide. What more? If I can treat myself to amazing food and relaxing massages, hello Bangkok! I am coming! After a day of shopping in peace, a night spent clubbing completes the fun factor for me. Slipping into a little black dress, or a shimmery number, spending the night dancing to amazing beats with my retard friends! Oh, I can already feel the hangover ;) Also, the beautiful city lighted up is always a lovely sight. Being a water baby, beaches and cruises always get me pumped up. Nothing can ever beat the cruising experiences. The option to either sip away the cocktails in serenity, or spend the night tapping feet to the tunes of the DJ while feeling the ocean breeze grazing your body! What else can so beautifully combine the two contrasts? When I land in Bangkok, one thing on my prime list is the White Orchard River Dinner Cruise. The beauty of the buffet with the river makes me so happy even while I look at it through the computer screen. Beaches paint a prettier picture. Bangkok offers some of the most beautiful beaches of the world like Phuket Island, Krabi for us to chill out in the warm sun. Sarong and some frangipani flowers will complete the look, and the day. Oh the joys of a water baby! Bangkok is also well known for its fabulous architecture. Of all the wonderful places, the Dusit Palace Park continues to enthrall me. The striking contrast of white against the river and the greenery, the fantastic architecture that boasts of an interesting history makes me want to spend a day, listening to the walls resonating the rich heritage. Also, the Grand Palace is another fabulous place that I don't want to miss. The beauty of this place is that it houses a number of other such architectures inside it. A fashion blogger can get all pumped up when she hears the words 'flea' and 'market' together. 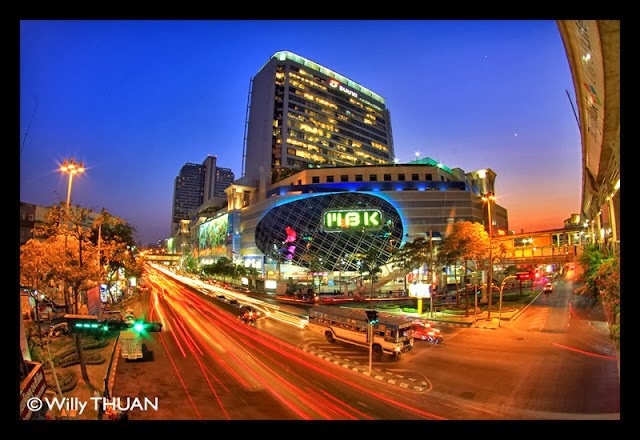 I belonging to the so called group of humans, definitely feel my heart flutter when I hear the word 'Chatuchak'. This flea market is as interesting as it sounds. One of the biggest flea markets of Bangkok, it hosts vivid items from bags and clutches to items of design. Be rest assured of finding interesting pieces to flaunt! I have heard a lot about MaBongKrong, and definitely would want to visit this mall that has generated a lot of interest among the locals and the tourists alike. Splurging is what I will do here. Daddy dearest will love the leathers here. What better a reason for a girl to have Bangkok as the dream destination? National parks and sanctuaries. I can hear my brother squealing with joy as I mention the elephant rides and the safaris. There is a part of being human where you are forever amazed at the other parts of nature that make it oh so beautiful! Lastly, the food. Food is one thing I live for (other than fashion that is ;)) The authenticity of street food can not be beaten by the high end hotels and buffets. Thailand already has an exquisite cuisine and the street food adds to the flavor. PS: None of the images belong to me. I have given sources to all of them. Thanks for the article. 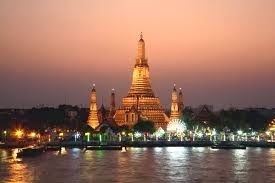 Now, I want to plan to trip to Bangkok! I live in Bangalore. We are family of 4 (2 adults and 2 kids). So, can you tell me, how many days do we need to cover the important places and what will be the approximate cost (including the air fare)? Hey, please contact Air Asia on the link mentioned in the post for all the details. Thank you.